Fellowes Galaxy Comb Manual Binding Machine - 6.50" Height x 17.75"
Manual binding machine is designed for frequent use. Ideal for large office applications. 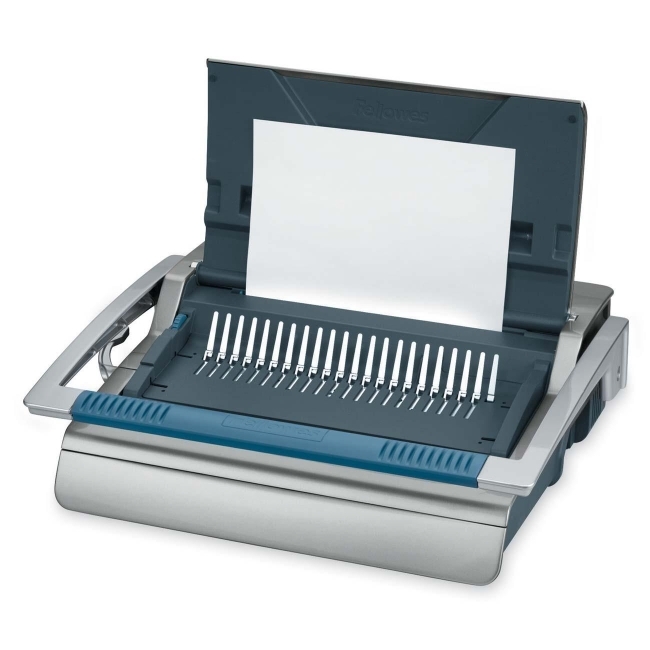 Punch up to 25 sheets at a time and bind up to 500 sheets with a 2" comb. Vertical document-loading ensures accurate punch alignment. Removable binding mechanism can be used separately. Built-in comb storage tray has an integrated document measurement device for quick setup and releasable dies for different document sizes. Adjustable rotary edge guide centers documents with ease. Binding machine includes front-access waste tray, comb storage tray, document measurement tool, and binding starter pack.